When I was a small kid and people used to ask me what I wanted to do I used to think who knew, man? I used to say I want to be a scientist. Maybe I still want to, I don’t know. Then I started growing up and when a little sense dawned into me, I told I wanted to be a teacher. Well, I loved all my teachers and hence a teacher, and I teach well you know. I promise. But then somewhere that got replaced by an IFS officer and then for a long time it remained IFS officer. Then I was hell-bent on pursuing journalism and then class 10 happened, where unfortunately I scored well and went into science. I love science but I love journalism too. Now that I was put into science like most of us I had only two options in front of me doctor or engineer. Then I chose engineering although being a doctor is what I loved. I don’t regret doing engineering but then I wanted to work as a secret agent or a detective in CIA. Blame all the crime series I saw. Whom was I kidding? Then in engineering, everyone kept on pestering to decide if I would like to work in the electronics sector (electronics) or software sector. I wanted to be only in electronics sector and guess what I am doing? No points for guessing. I am working in IT. I once wanted to be criminal lawyer, fight for justice too. Then, I had this dream of having multiple jobs. Wake up in the morning,get ready sign off a few deals and get good profits to my company, and then be the defence lawyer of a friend and fight for justice. Just when I have done both of this my partner would call me and discuss about a recent murder and where it was so that I would come to the murder site to investigate, then after lunch I would wear my scrub and be a famous cardio thoracic surgeon. If not famous at least a good one, with great bunch of friends, have a drink. Make dinner, write and read book to sleep. Alas, it remained a wishful thinking. How exciting life would be if we could play so many roles instead of just one mundane work? 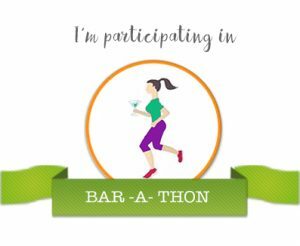 Writing this post for Day 6 of Barathon. Hahaha…..I find you to be more and more like me Ramya! Many lives….one life! Loved this post! We do go through a lot of uncertainties regarding education and career.In the end,what we do is not always same is what we want.